Manoel Island is known in Maltese as II-Gzira, which means The Island. It gives its name to the adjacent town, which is a further extension of Sliema. The Island, 0.5 sq. 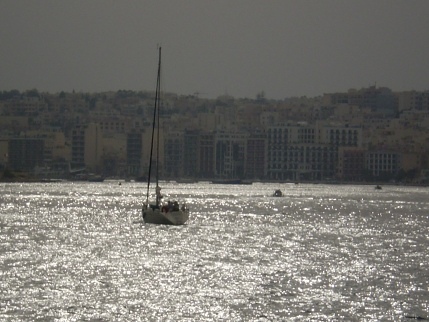 km, in area, lies in Marsamxett Bay between Sliema Creek on the Sliema side, and Lazzaretto Creek to the south. The island has not, as yet, seen much development although tourist and commercial projects in fact are, in the pipeline. Work is expected to be taken in hand on an extensive tourist development project comprising Manoel Island and Tigne Point in Sliema. The knights realised the potential of the island as an isolation enclave against the plague and the infectious diseases which were rampant in those days. In 1643 the Knights built a quarantine hospital and a Lazzaretto on its southern flank, and the creek became the quarantine harbour. Galleys and ships arriving from plague-infected ports had to spend several days in those waters while their crew were accommodated at the Lazzaretto. In 1726, Grand Master Manoel de Vilhena started to appreciate the island's military importance for the defence of western Valletta. For this purpose he commissioned, at his expense, the building of the fortress that bears his name to this day - Fort Manoel. 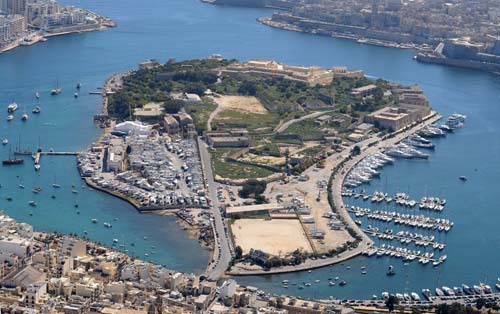 The tiny island also became known as "Manoel Island". The fort was designed by Chev. Francois de Mondion, who was also engaged in the rebuilding of Mdina. The fort, which was completed in 1726 in baroque style, is one of the most remarkable military buildings in Europe. Its massive walls embrace a large Place d'Armes encircled by two tiers of arched barracks which could accommodate 500 men. The beautiful chapel of St. Anthony, and a bronze statue of the Grand Master, added lustre to the square. Unfortunately, the chapel and some of the buildings were destroyed by air attacks in the 1940's. Grand Master Vilhena's statue has been removed and now adorns a little square in Floriana which is also called 'Citta Vilhena'. Fort Manoel today no longer plays a military role. It serves a more peaceful purpose as the home of the Royal Malta Yacht Club. Lazzaretto Creek has also ceased to be a quarantine harbour. Its waters now serve as a Yacht Marina, where luxurious sailing boats and yachts lie snugly at their berths beneath the elegant mansions at Ta' Xbiex Wharf. Manoel Island is joined by a stone bridge to the mainland at Gzira.